UPDATE: Manafort and Gates have entered not guilty pleas. A judge has set bail for Manafort at $10 million and $5 million for Gates. 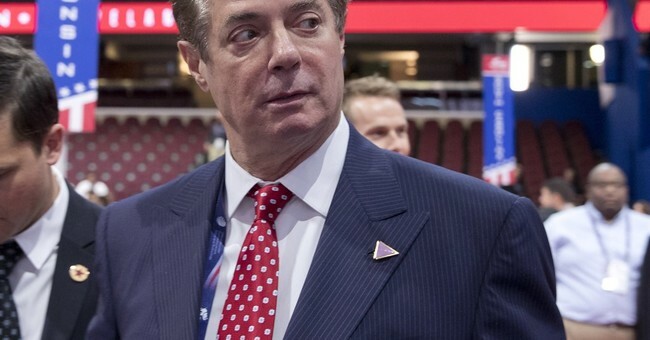 Former Trump campaign manager and businessman Paul Manafort surrendered to the FBI in Washington D.C. Monday morning as part of Special Counsel Robert Mueller's ongoing criminal probe. His other option was arrest. Manafort was indicted by a grand jury on Friday and the charges against him were released shortly after he turned himself into authorities. He faces twelve different counts, all felonies, which include conspiracy against the United States, failing to register as a foreign agent, making false statements about being a foreign agent, false statements to the Department of Justice, tax fraud, bank fraud, money laundering and more. His longtime business partner Rick Gates faces many of the same charges. The charges stem from Manafort's activities from 2006-2017. Read the indictment and the details surrounding the charges below. The Trump campaign is not mentioned a single time.